Thirty-five percent of households in the United States are gardening and growing produce at home, the highest level in over a decade!Gardening not only provides an inexpensive source of fresh produce, physical exercise and a reduction in stress and other health problems, it also allows us to have awareness and control over which chemicals touch our food and affect our environment. 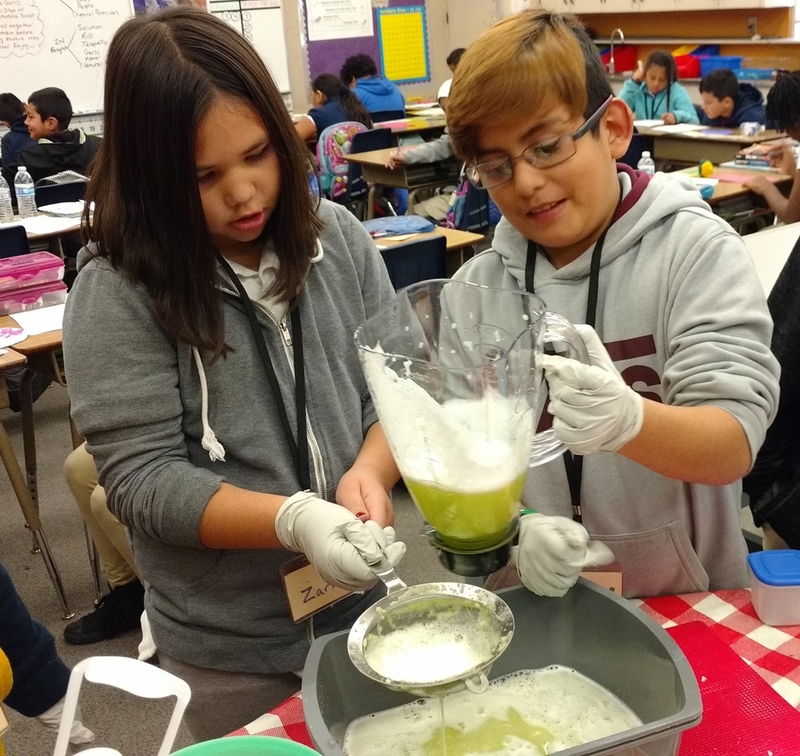 KIDS for the BAY students at Antioch’s Turner Elementary School studied the effects of chemical pesticides and were inspired to take action and make a difference in their homes and watershed by learning to make natural pesticide alternatives using non-toxic household items. These methods and recipes can be applied to any home garden, as a way to support the efforts of these Student Scientists and protect our neighborhood environment. These recipes for natural pesticides are accessible and simple for anyone interested in having an environmentally responsible garden. They keep pests away, reduce chemical pollution and, according to one of our students, smell great! Try these methods at home and become an Inspired Environmentalist. For anyone lacking access to a gardening space at home, many cities have vibrant and accessible community garden programs. For all recipes above: Blend together ingredients, strain using cheesecloth, and store in a plastic or glass spray bottle.